Mishimoto has the answer for JK owners who experience repeated clogging and replacement of cooling system components. A clogged Radiator can leave you out in the cold with a blown engine. Excess casting sand left in the cylinder heads from the factory and damaging solids introduced to the cooling system from normal engine wear and servicing, can be unexpected trouble as time goes by. Mishimoto's Coolant Filter Kit will help clean up your JK by keeping anything that is not liquid coolant from circulating around your engine and cooling components. Upgrade one of the most crucial systems in the entire vehicle with this JK Coolant Filter Kit, and Keep your Cooling system uncontaminated and free of debris. Direct Fit: Precise fitment for the 2012–2018 JK owners so there is no need for time consuming modifications. Filtration Benefit: Filters solid particles from coolant and will help clean up your JK by keeping anything that is not liquid coolant from circulating around your engine and cooling components. 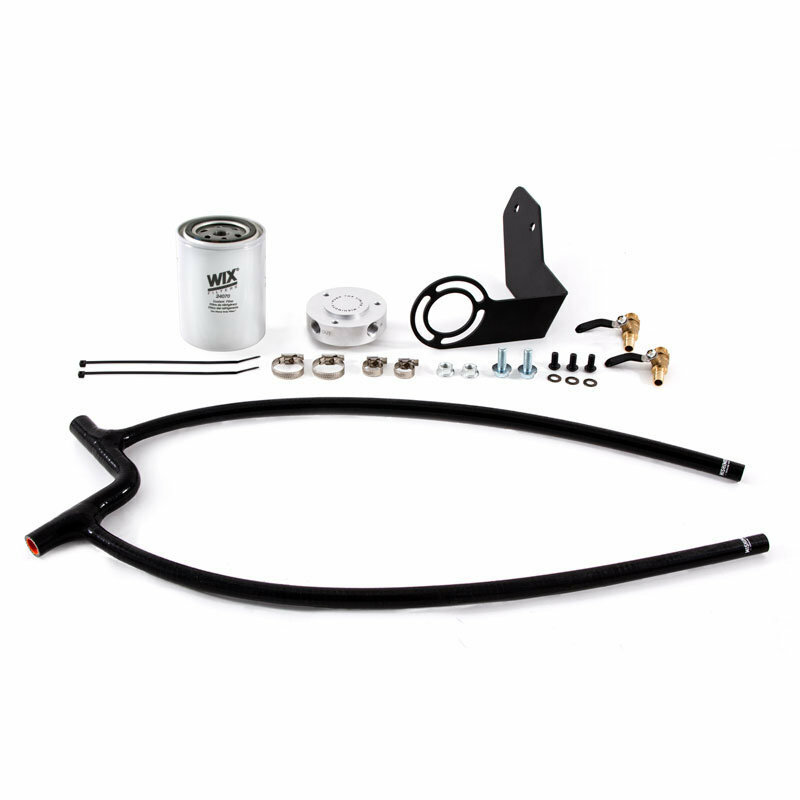 This kit will help prevent clogging and extends the life of your Jeep's Radiator, Heater Core, and other Cooling Components. 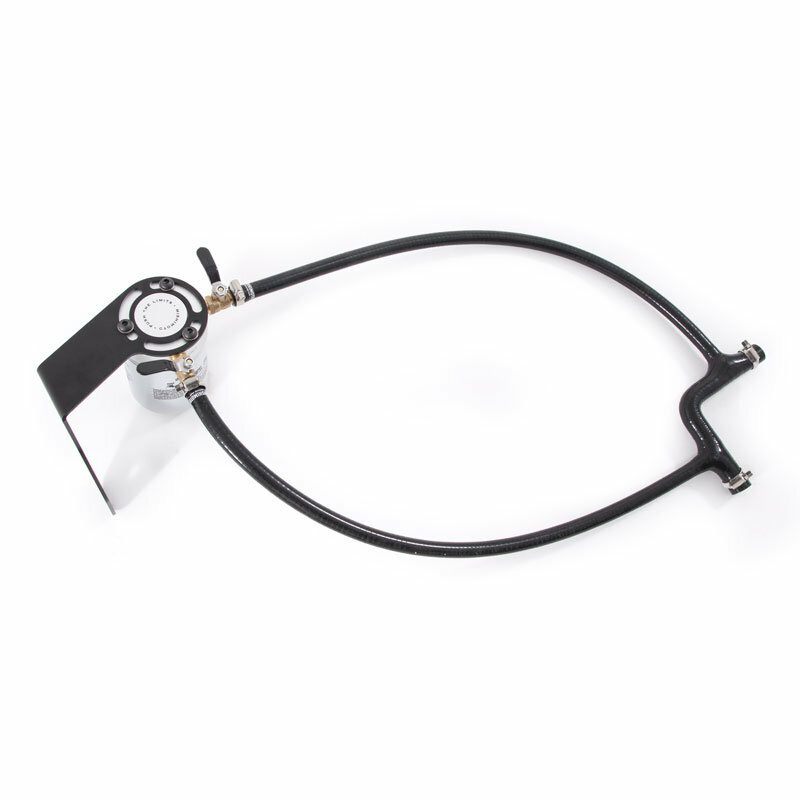 Construction Integrity: Built to last with One-piece application-specific silicone hoses, and a 6061 anodized aluminum filter mount with a Wix coolant filter that can remove particles as small a s 27 microns.